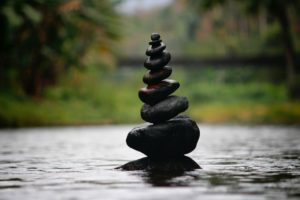 The benefits of a balanced life are really too numerous to mention in any great detail, but I just want to name a few which are critical to our happiness and well-being. Very often as an adult, we end up doing what we would never have done as a child, and that is thinking too little of ourselves and our potential. As a kid we were confident that we could do anything, and we weren’t shy about letting others know about it either. I am not talking about false pride, conceit or any of that other nonsense. What I am speaking about is taking the time to value ourselves and all our accomplishments (big and small), which we have created over time in our lives. Right off the bat let me direct you to my sidebar where you can get a copy of my short Free report on Creating Life Balance, which will give you a good foundation on what it takes to make the changes necessary to bring about the type of balance and harmony in your life which we all desire. In order to live a Balanced Life which produces the happiness and joy which we so richly deserve, we must let go of some of the baggage which we carry around and have bought into for whatever reason(s). Things like, “I have to..”, “this is just me”, “I can never do that”, “it’s too late to change”, “once I get this done then I will….”, “I don’t have the time or money or ability or…..”. Now these are just a few things we use to drive ourselves crazy, and keep us in a comfort zone which is really an Uncomfort Zone and not pleasurable at all. The only way to stop this is to Just Say No. Let whatever comes up as a result of saying “no” just be there, accept it, and then move forward without focusing on it. When we don’t focus on it, it simply dissolves or goes away. It needs our energy to stay in place. We can then get to work designing the life we truly desire and about which we are passionate. That’s where our energy needs to go, whether it is in the area of our finances, relationships, career, creativity, health (mental, physical, emotional), or our spiritual life. 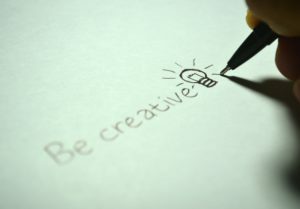 When we tap into our Creative Self, we are energized to follow through on any project which interests us. We do it with a sense of joy and abandon. There is no holding back or second guessing ourselves. We are able to create just for the love of creating whether it’s a hobby, paid endeavor, volunteer work, fulfilling relationship, or expanding our Inner Self. Once our creativity is released, we effortlessly live a balanced life because we are aware of how we feel and will accept nothing less. When one part of our life is out of balance, it affects all others. So when we tap our source of creativity, we will not settle for less no matter how uncomfortable some of our choices may be. If nothing else, we will be making “conscious choices” even if we decide to stay where we are for the time being. First and foremost the best solution to a healthy life is prevention. We do this by having a daily health program in place with a combination of exercise, diet, and mindset. I will just make a few suggestions here as everyone’s situation is unique, and the specific factors differ dependent on your individual situation: age, current health, lifestyle choices, current health regime if any, etc. As I mentioned before, the ideal approach is Prevention. By setting up a consistent program comprised of exercise, applied thought, and a diet created to nourish our bodies in a maximum way, we set the stage to let ourselves access our natural equilibrium and natural healing mechanisms. In addition, it is important to start with Baby Steps, otherwise you will merely repeat the process of New Year’s Resolutions being made with great enthusiasm, and then gradually fading out due to us losing interest and eventually quitting. Whenever you find it necessary to see a physician, keep in mind that a large part of what they do, even within our current state of high tech equipment and technology, is guesswork. This reminds me of a time when I worked in groups homes with children who had emotional issues, and I went to the doctor with one of my clients. After the exam I was speaking to the doctor about the results from examining my client, and I then asked him about his diagnosis procedure. He then went on to explain that a large part of what he does is based on idiopathic medicine. This is when the physician is not quite sure what’s going on, has no idea why you are sick, and then describes your condition as “idiopathic”, or based on “unknown causes”. Now this did not surprise me at all because I was raised in the same house with my uncle, who was a Naturopathic Doctor, who lived downstairs in our three (3) story home. I was exposed to natural remedies and treatments at an early age, as well as meeting many medical doctors as well as natural practitioners such as osteopaths and naturopaths. In fact, I attended medical conventions with my uncle when I was very young. The whole point of bringing this up is to caution you against first opinions, and only getting opinions from one source. Especially if it is a serious condition, I would suggest getting a diagnosis from least three (3) to five (5) different doctors, and at least that many treatment options. 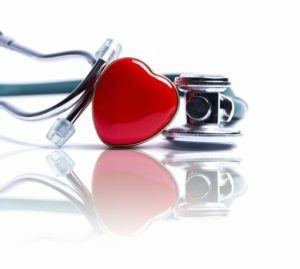 In any event, I will write other health related posts which you will be able to find in my Health Category on this blog. Also for those who opt-in to my Balanced Life list, I will include health-related info in my series of emails. Since I do not desire in making this a long-drawn-out article, let’s review a few of the ideas presented here. Learning how to have a balanced life brings much benefit in terms of joy, happiness, increased energy, and peace of mind. It’s important to remember that when we are out of balance in any area, this affects our state of being and performance in All areas of our lives. 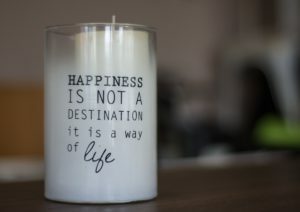 Having fulfilling relationships, an adequate or even abundant income, a feeling of contentment within the Present Moment, emotional stability, a powerful mindset, and the peace and awareness from our spiritual life (whatever that may mean to you personally) are all benefits of creating and living a balanced life. In later posts I will elaborate more on some of these topics, and make available additional suggestions how to work this into your daily regime, so that it becomes a routine which is easy and effortless to perform. In the meantime, all the very Best to you that you may break free from anything which may be holding you back or covering up the Magnificent person who you really are. For a Short and Concise guide to Living a Balanced Life request my Free Report above on Creating Life Balance. For those interested in learning Online Marketing or expanding their current online business here’s My Recommendation. You are absolutely right. Having a balanced life is very important for anyone in this world and it also bring so much happiness to our life. This article had everything I needed to know about a balanced life and how to make that happen in my life. It was really easy to follow and understand this article. Thank you so much for sharing this article. Thanks so much Sujandar. All the best. Thanks for the great read. I am looking for a balanced life all my life. It’s not easy but following my own dreams is a first. I think it is a big difference in dealing with problems coming from a lifestyle I chose my self than dealing with problems I have living a life that I haven’t chosen for real. Nothing is easy in life and we always have to take responsibility for what we do or not do that’s normal but there are always doors we don’t know yet if stay true to our self. So very true Stefan. We are not to blame for what is going on but we are certainly responsible and once we take responsibility we are able to make constructive changes. All the Best. I have been made to believe that only eating healthier food and regular exercise is enough but you brought up the fact we to live. Afull filling live make everything to be at equilibrium only that you can have the best of you. that is truth which by the way some of us want to avoid running away from reality but when things get worse we start complaining saying we wish if we knew. Thanks for your comments Charles. Once we balance things out things start to flow. Hi Joseph, your article has lots of good points, our lives will be much better if we can get back some of our child curiosity and aptitude. In today world we are so consume by our busy lives that we just give up and we stop trying new things. I do believe that when we are not happy with our life, then we need to make changes. I appreciate your advice and I wish you good luck, thanks again bro. Appreciate your comments Jerry. Change is good and allows us to grow. I like your post. I love living out a balanced life, mind, and body. And allowing life to provide as I grow and set intentions. When I set a positive intention, I just allow it to happen, without desire or want. And it feels great to accomplish all that I wish to achieve. For me, affiliate marketing is so fun because I can promote the programs I love and find useful. Thanks for the post. Thanks JB. All areas of our life are important and deserve our attention. A lot of times, we find it hard to balance everything we do in life. You’re right, we have to start at taking care of our health, balance our life and not at all work. I just want to live healthy and happy, if possible forget or ignore all the negativity around, we all owe it to ourselves, right? This is a great article and a good reminder to everybody that balancing life has a lot of good benefits in life. Thanks Pecilla. Your comments are much appreciated. You are right in what you have said. having a balance is the key so let us strive for that so we can be happier getting more out of life and enjoying it every step of the way. Thanks Norman for your comment. Much appreciated. Great post, few things I would do to improve upon it, which I would love to chat with you about sometime. But I can see you really know your stuff here and I think others will see that and put their trust in you, with some minor tweaks, this could really hit that retirement crowd looking to ensure they don’t get forgotten and still can do something with purpose, you definitely speak of a well-balanced life so I think you get it, we have to embrace enhancing life, and not just balance of it. Thanks Marshall. Look forward to chatting in the near future. Great post!!! I enjoy it have people in my owe life that are retire and seem lost after have a way of life to having to remake themselves. 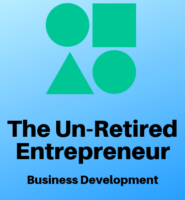 It’s really hard to see that they wake up and really never know how to retire because they are always looking to be useful in some way. You info will help those that go through these struggle, to find that balance that they need. Thanks Claudia. Thanks for your comments. Much appreciated. The earlier in our lives that we balance things out the better but it is never too late. It’s just a matter of increasing our awarenss and this increasing our choices.